September is National Preparedness Month — and part of being prepared means having a good communications plan. Not only a pre-arranged place to meet with family & friends (see the Red Cross and Ready.gov for info), but a way to contact the outside world. Sure, the Internet has changed how we communicate, and it’s great to have on a daily basis, but sometimes you won’t have the luxury of firing up your computer or smartphone. There could be anything from a power outage to an earthquake, making even communicating across town a challenge. Most cell phone towers have a backup source of power, whether it is a generator, solar panels, and/or a battery bank, but in an emergency these finite resources can become overwhelmed and depleted. Once you have your license and an amateur radio, your options expand greatly. 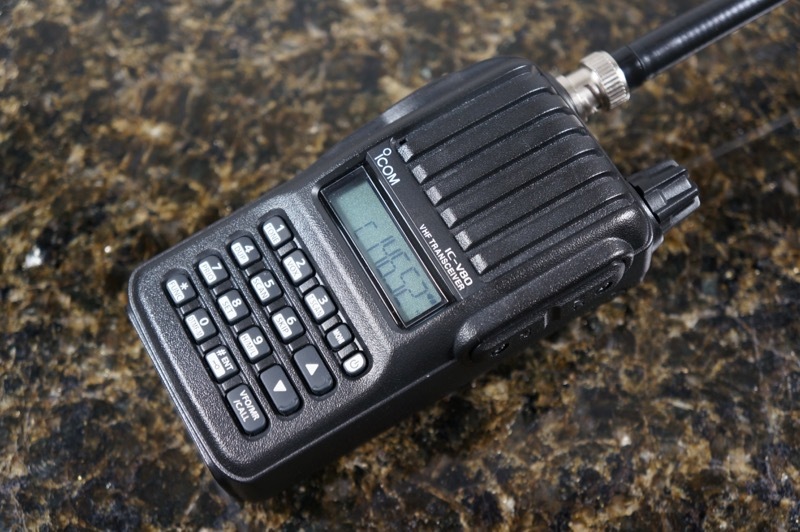 You can communicate socially with other ham radio operators in your immediate area, as well as access various mountaintop repeater sites for greater range. A repeater is constantly listening on a certain frequency — and once it receives a signal on that frequency, it re-broadcasts it at a much higher power, and over a much greater area. Many of the same amateur radio groups that offer classes and testing also maintain networks of these repeaters, making them either available to members for a small fee, or even for free to fellow ham radio operators. In the case of a disaster, local groups of fellow operators will often volunteer to staff emergency repeater nets listening for and passing along important radio traffic. And there doesn’t need to be a big disaster for this bit of preparedness to pay off. Imagine you are traveling for hours to get to a relative’s place during the holidays. Part of that travel might include passing through mountains or more remote areas where there is no cell phone signal. Should something happen, you can fire up the two-way radio and try to reach out for help. It’s not a guarantee, but it significantly boosts your odds of reaching someone who may be listening. Additionally, most basic two-meter (a.k.a. 2M) radios will receive a little bit outside of their transmitting frequency band — meaning that you should be able to also listen to NOAA weather service broadcasts. This can be especially handy during periods of bad weather or in the wintertime. Just check the manufacturer specifications to be sure. In closing, like many hobbies, ham radio can be as light or as in-depth as you want it to be. It can be a great way to spend some quality time with others, as well as learn something new; not to mention adding another excellent tool to the toolbox.